Posted February 9, 2017 by jordannet66 & filed under Blog. 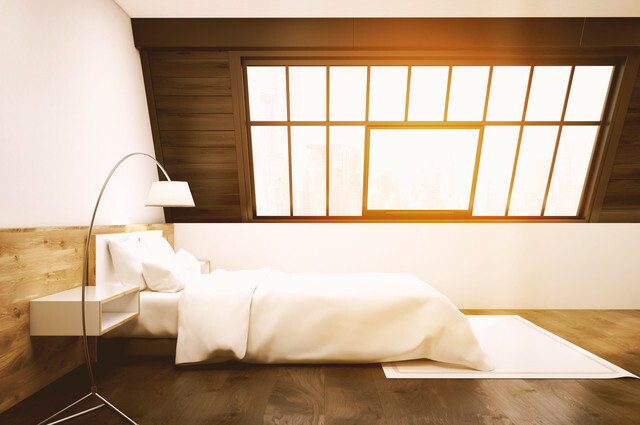 Bedroom At The Top: An attic conversion into a spare bedroom – especially with an en suite bathroom – may result in a 21% boost in your home’s value. Image by ImageFlow (via Shutterstock). From Marston Green to Stechford, or Penkridge to Longbridge, many people turn to Up Another Level as a way of boosting space in their home. Loft conversions can offer another boost, especially in prosperous areas. In a report from PolicyExpert.co.uk, it is stated that a loft conversion is the best home improvement to go for, should you sell your house in future years. Loft conversions can increase your home’s value by 21%. For example, a £200,000 home without a converted loft could be worth £242,000 with a loft. Even more so if your loft is used as an extra bedroom. Especially with an ensuite bathroom. The average conversion can cost between £30,000 and £40,000. In prosperous areas, the effect that loft conversions have on house prices may be greater than 21%. Especially in London and South East England where house prices are a third or more higher than in Birmingham. We at Up Another Level agree with the report. So, if you wish to sell your house in five years time and make a pretty penny out of it, get that loft converted. Up Another Level Loft Conversions, 09 February 2017.